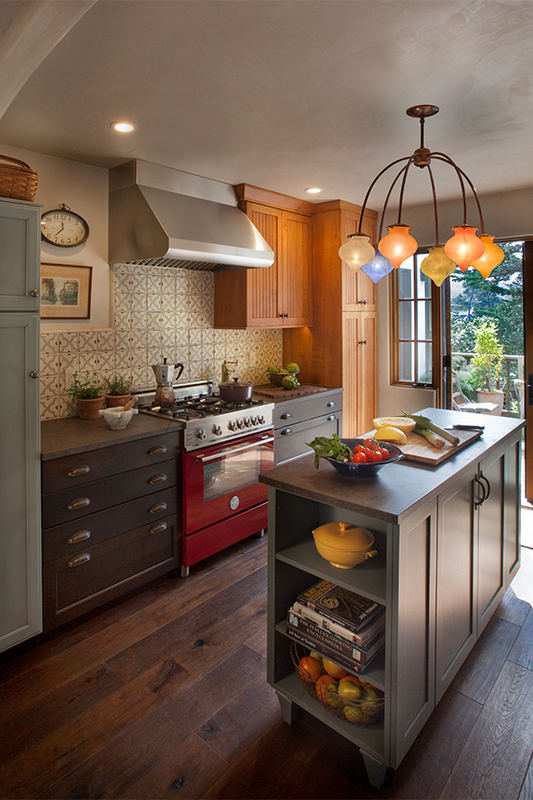 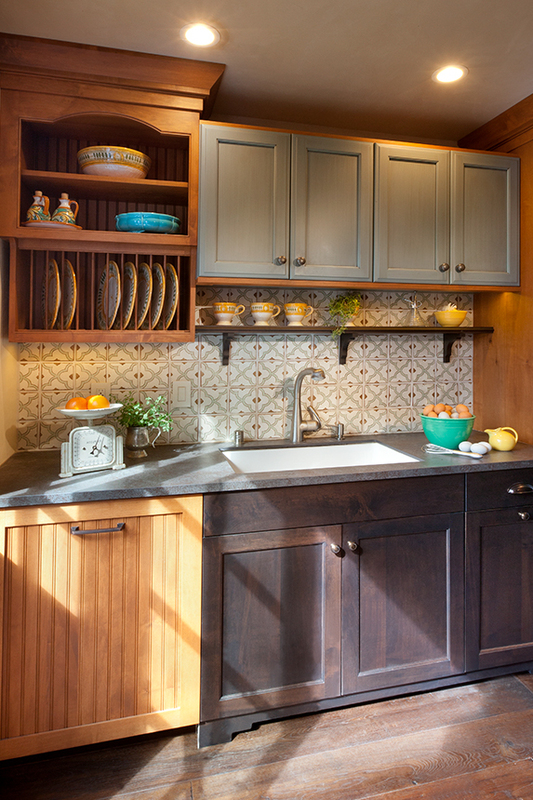 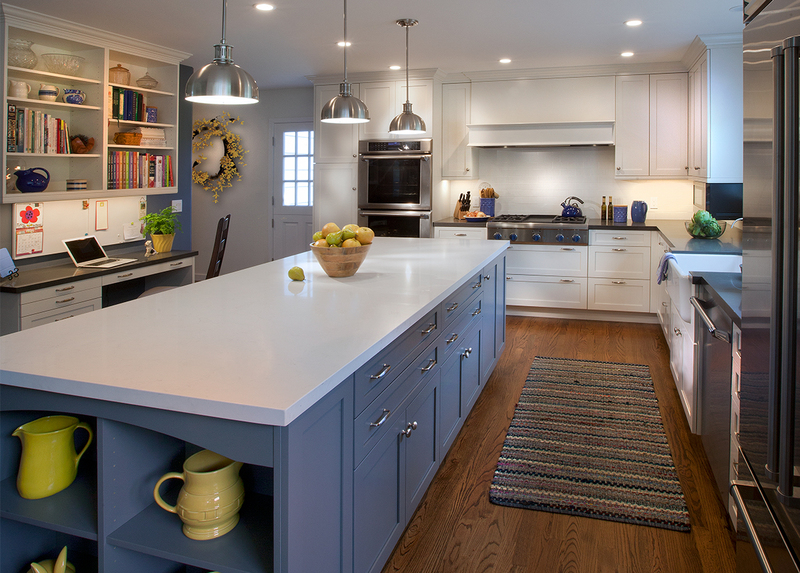 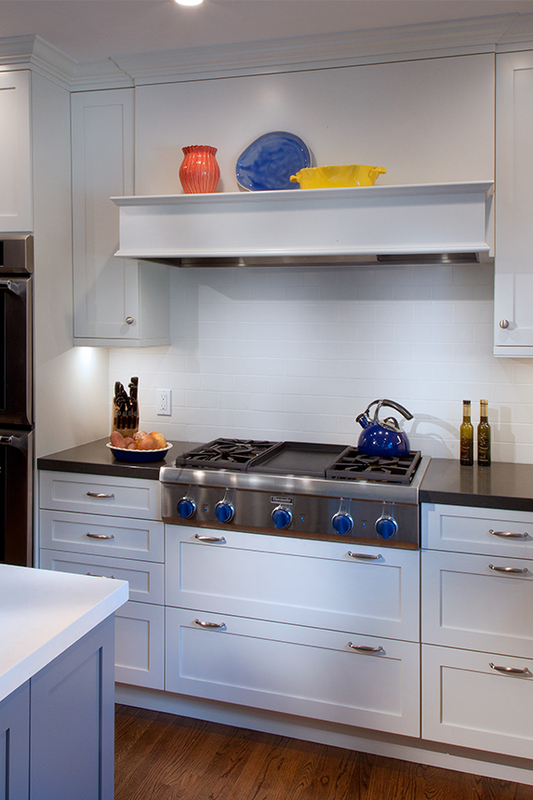 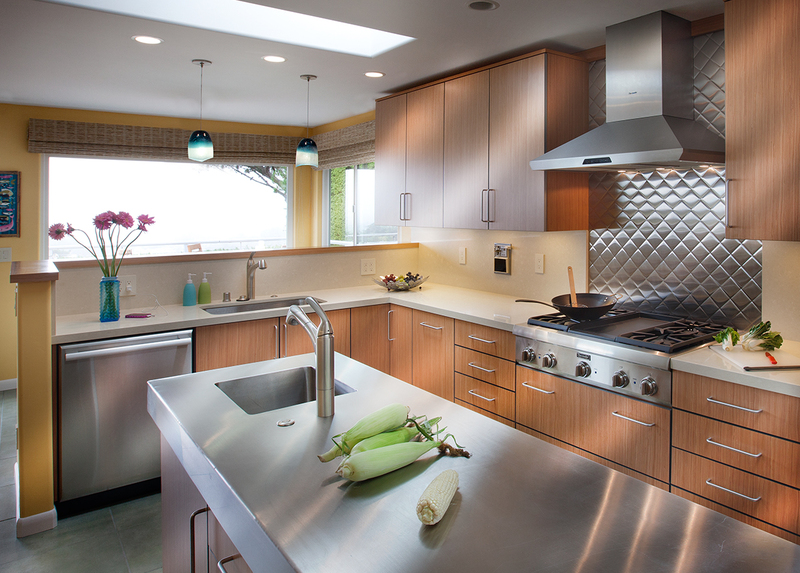 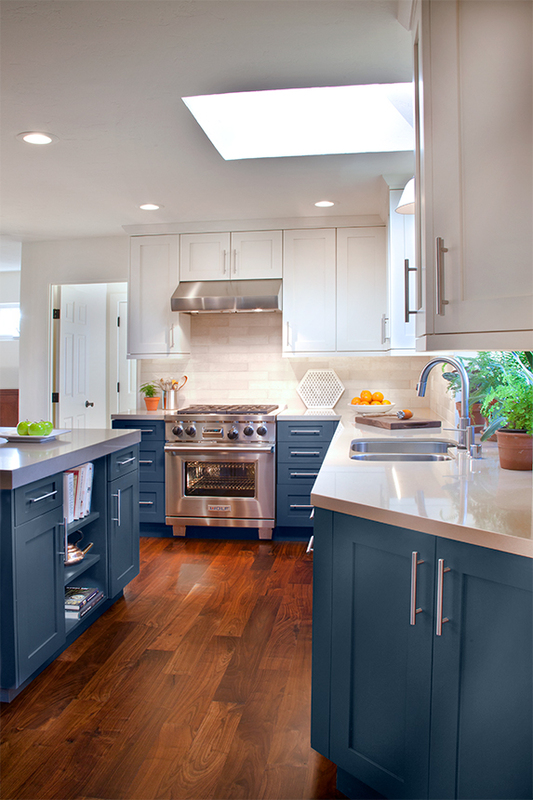 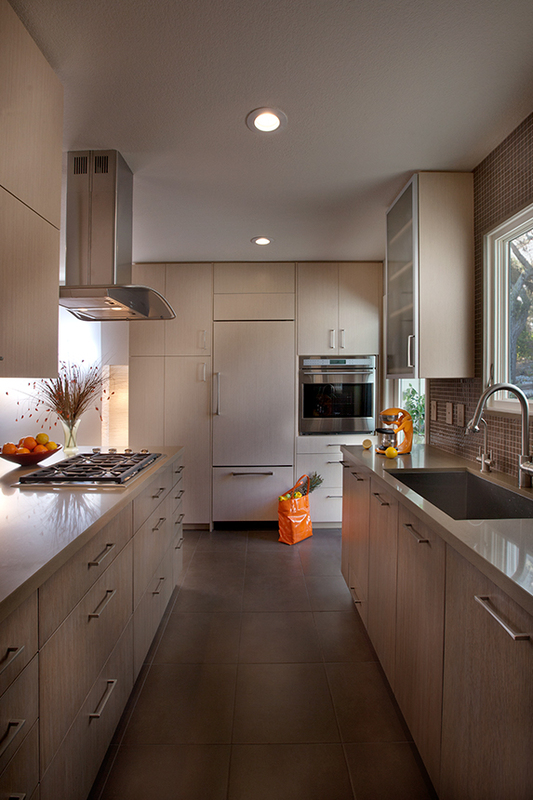 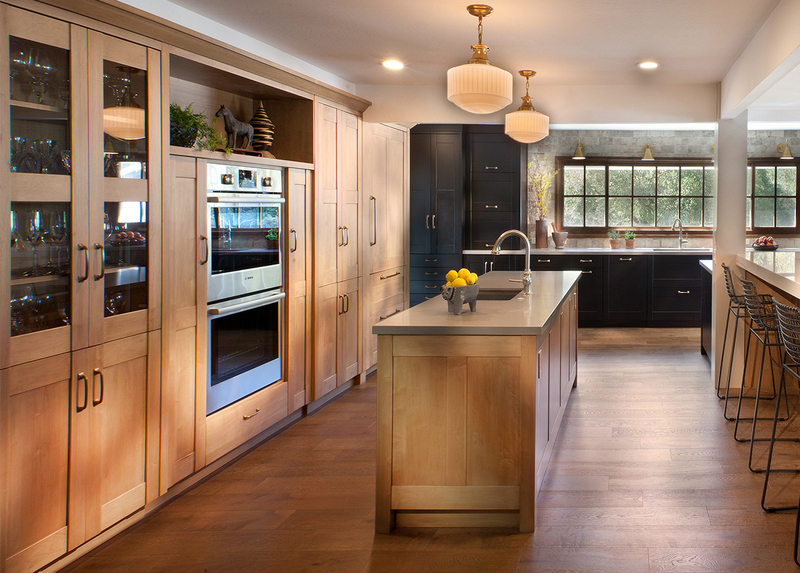 This small but mighty kitchen maximizes every available inch! 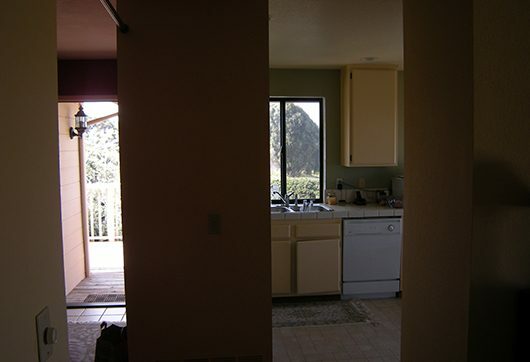 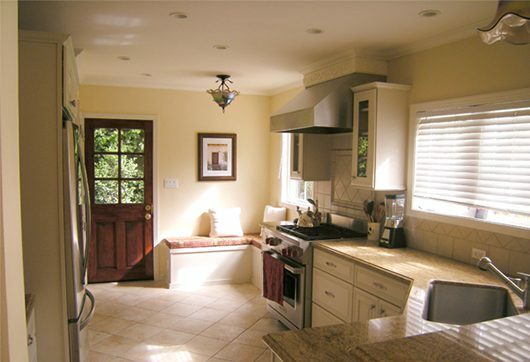 By replacing the sliding glass door with a single patio door, we were able to expand the kitchen by 50%. 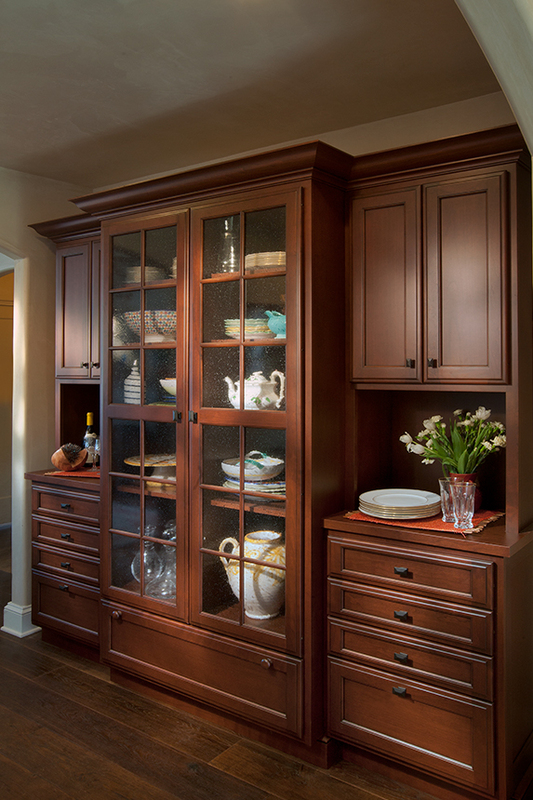 The dining area now has great display area and doubles as additional storage! 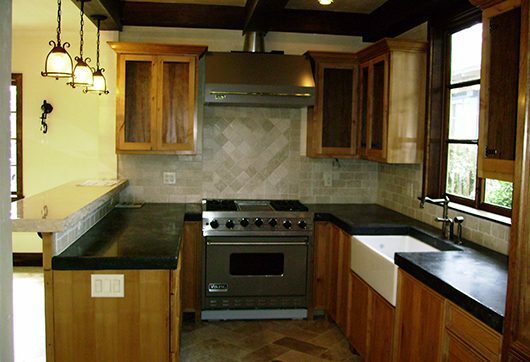 This small, isolated kitchen kept the cook away from the party. 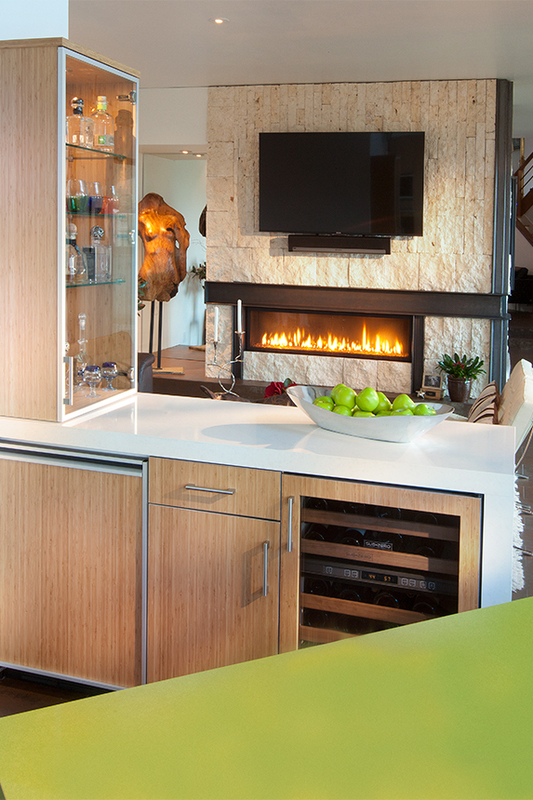 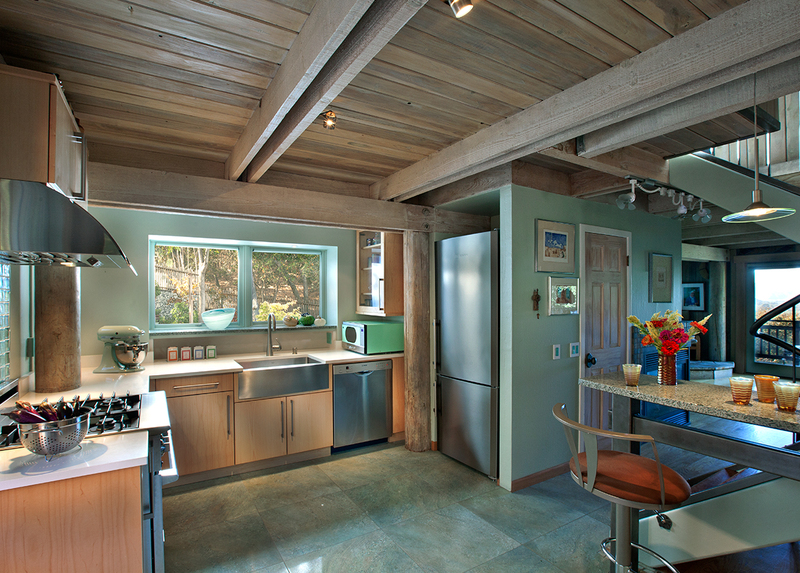 We removed a few pesky walls and added a bar between the kitchen and living area. 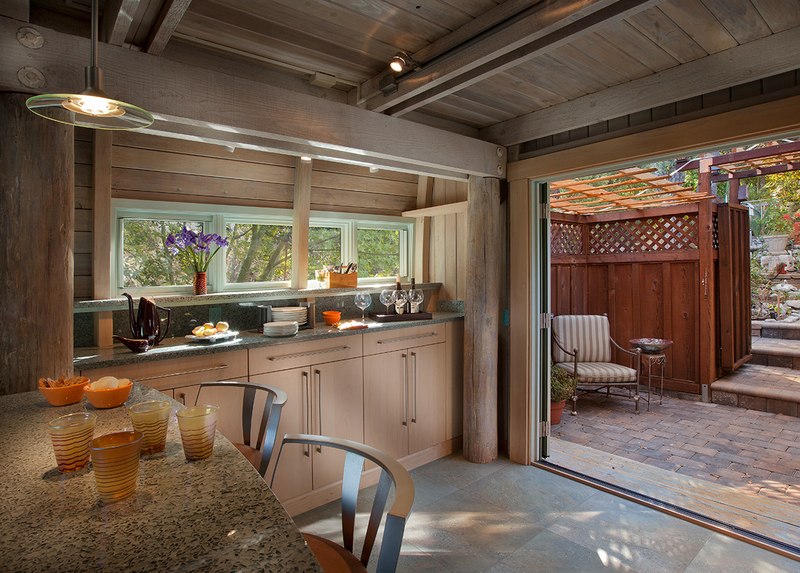 Now the cooks are the life of the party and the new den has access to the views from the kitchen! 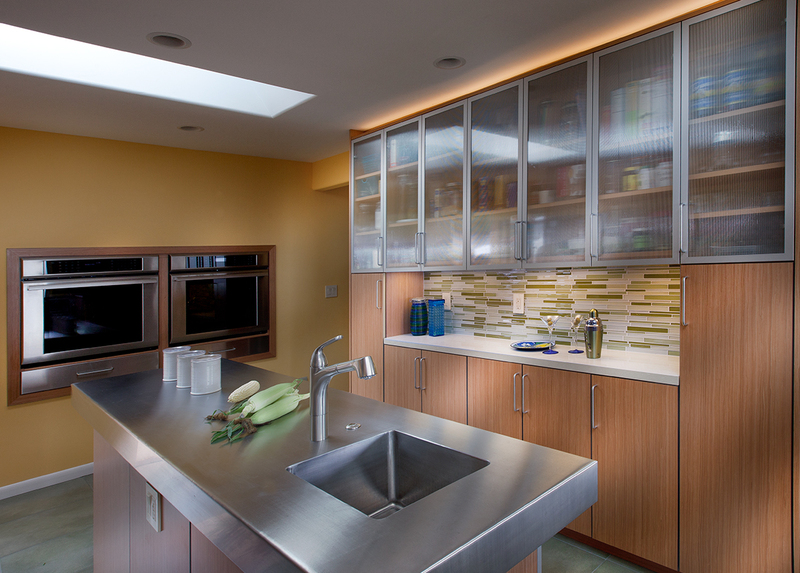 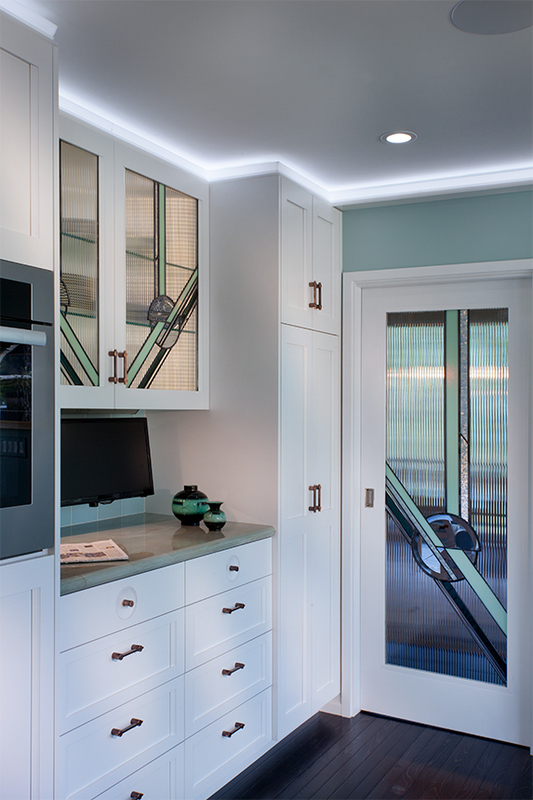 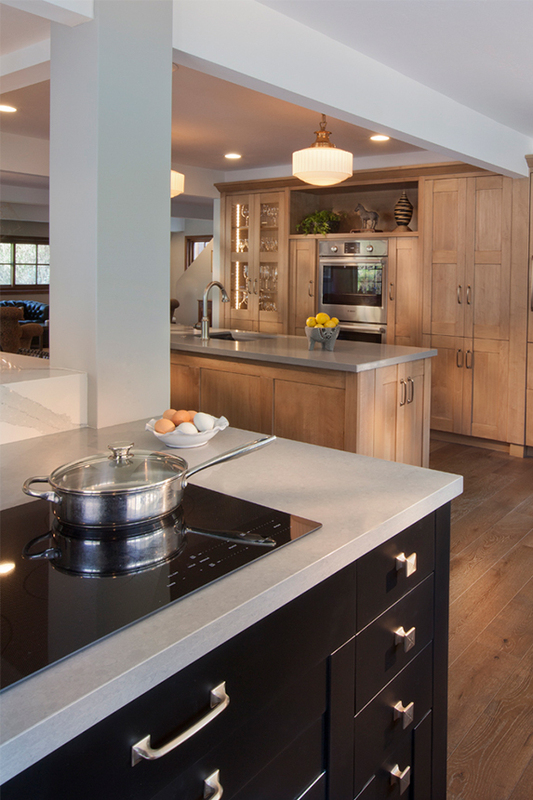 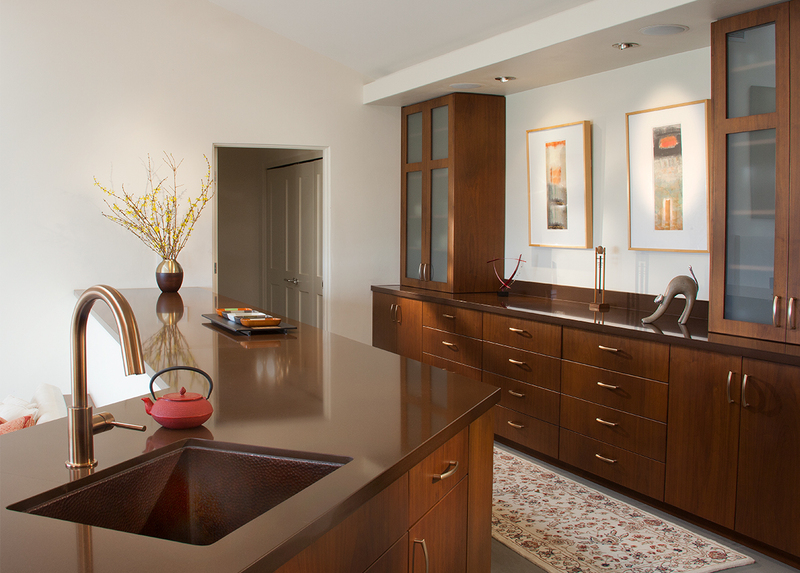 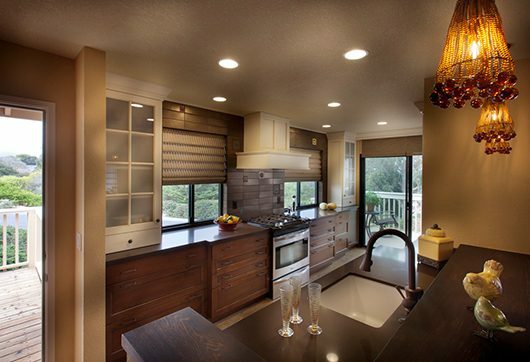 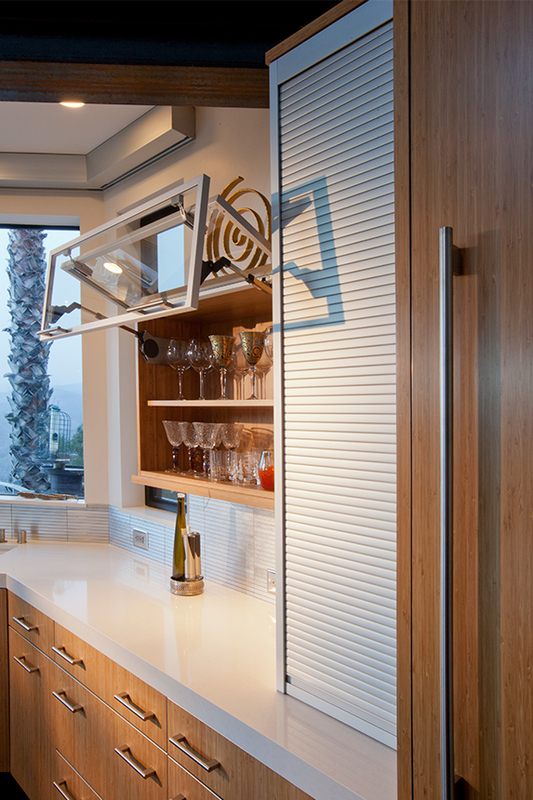 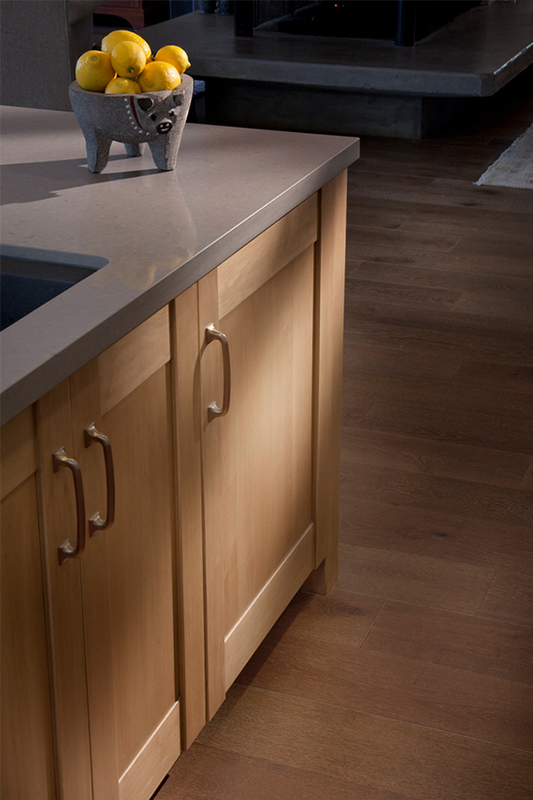 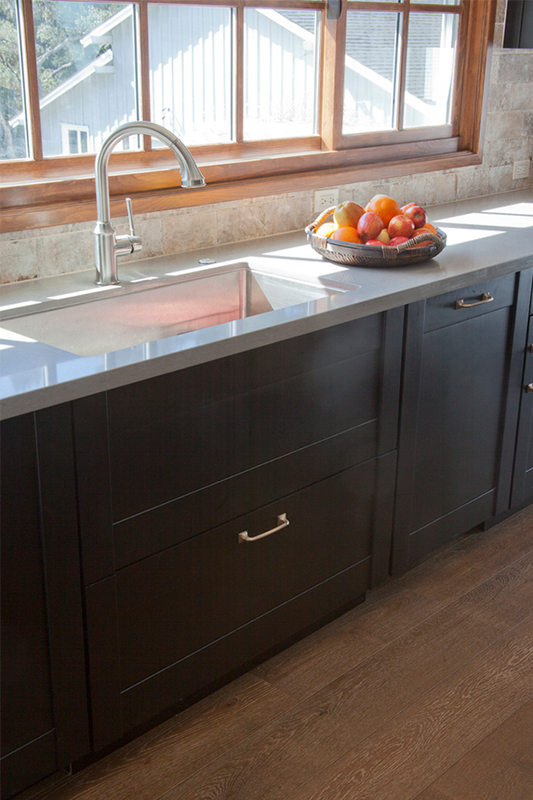 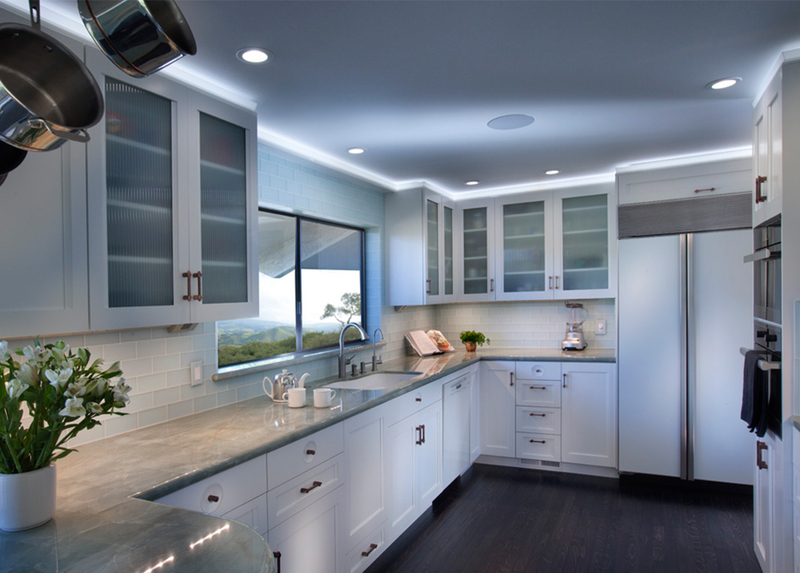 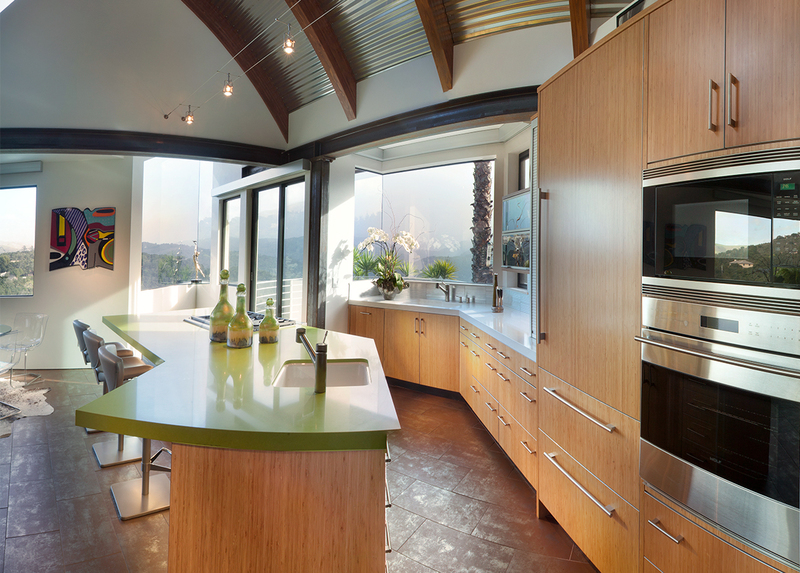 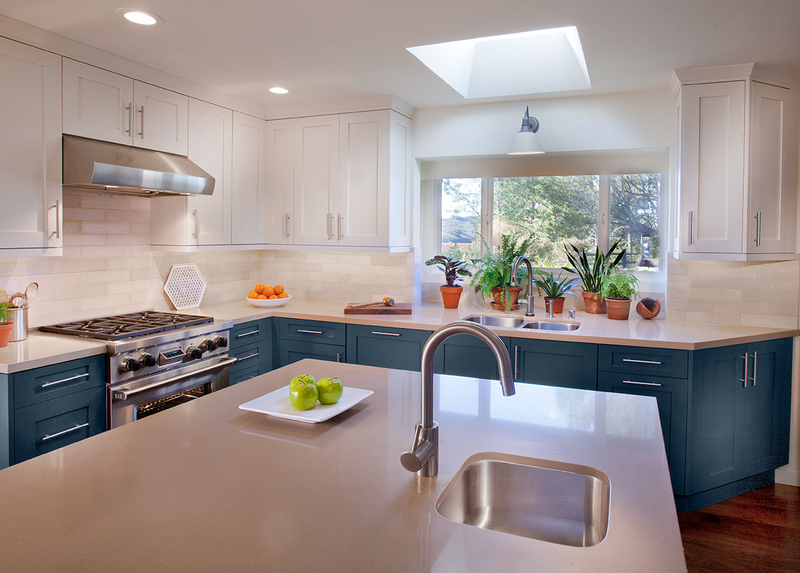 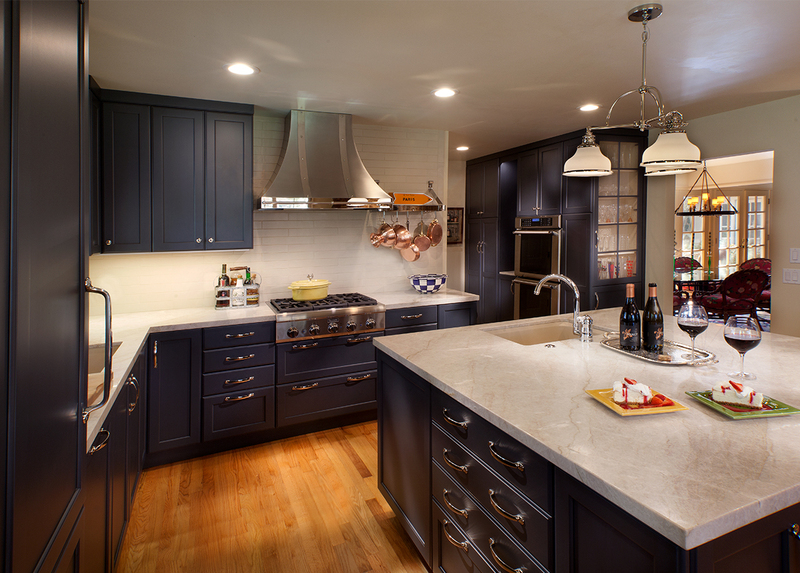 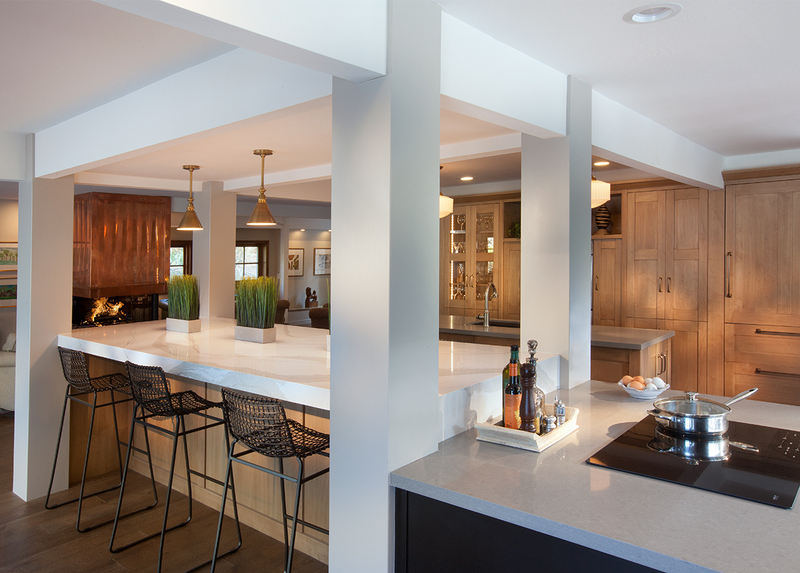 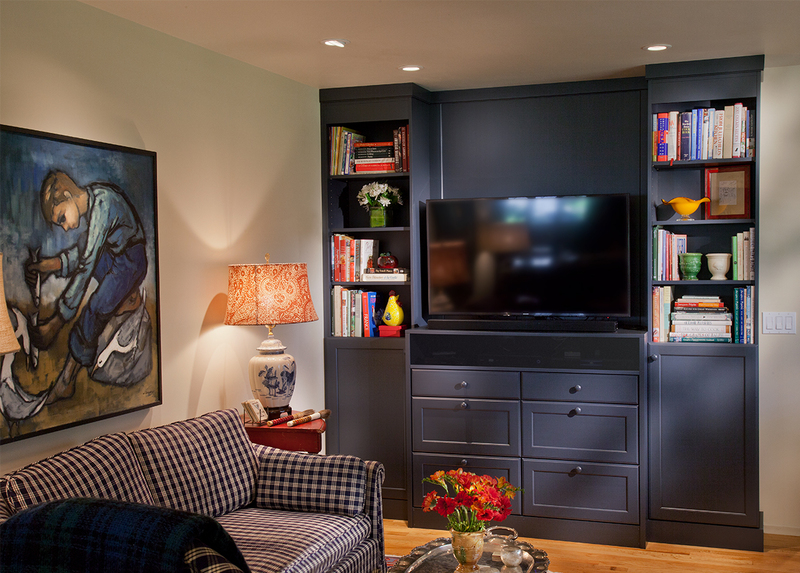 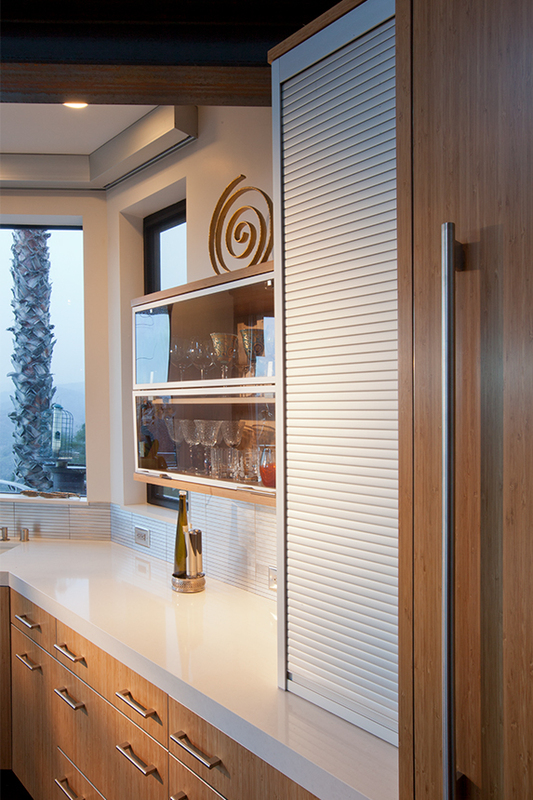 The existing space was designed so that the drawers would not open in the corners, the lighting was not enough to see if the dishes were clean and the cabinetry did not compliment the style of the home. 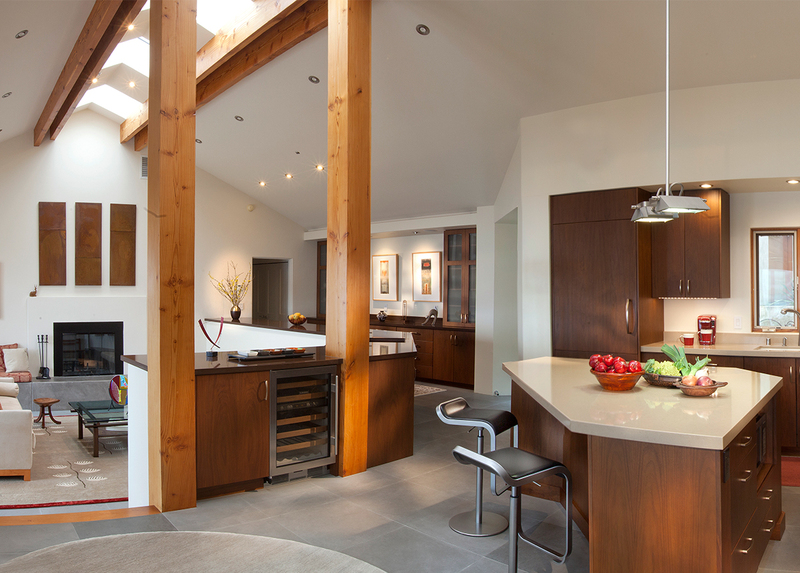 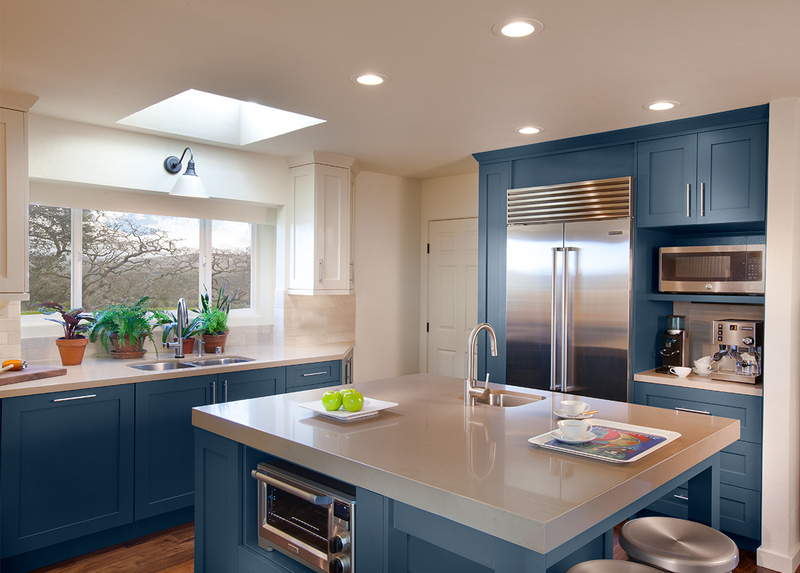 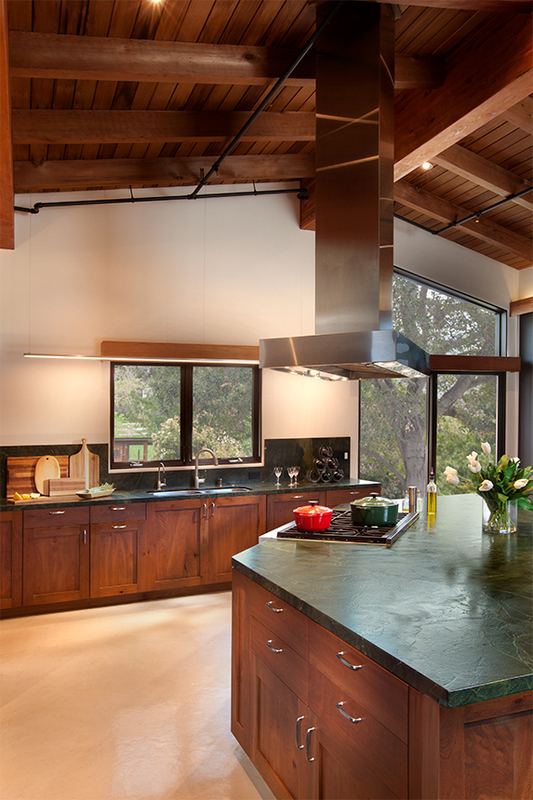 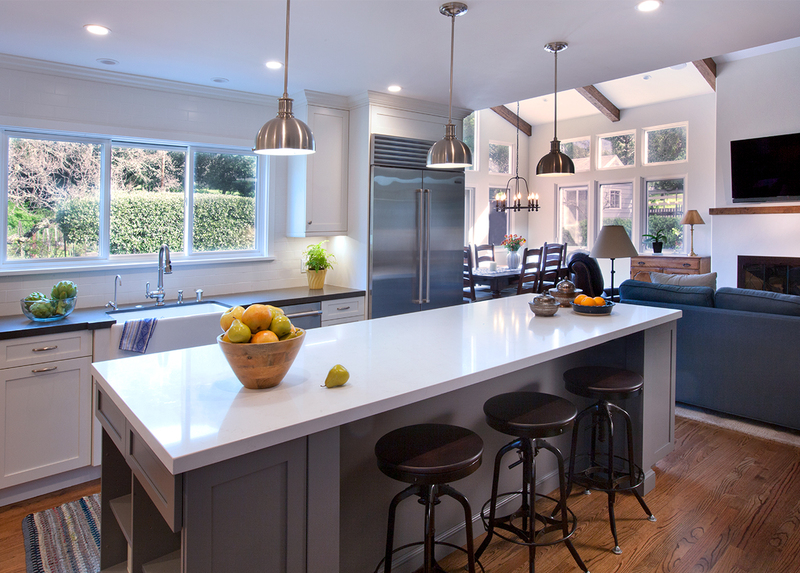 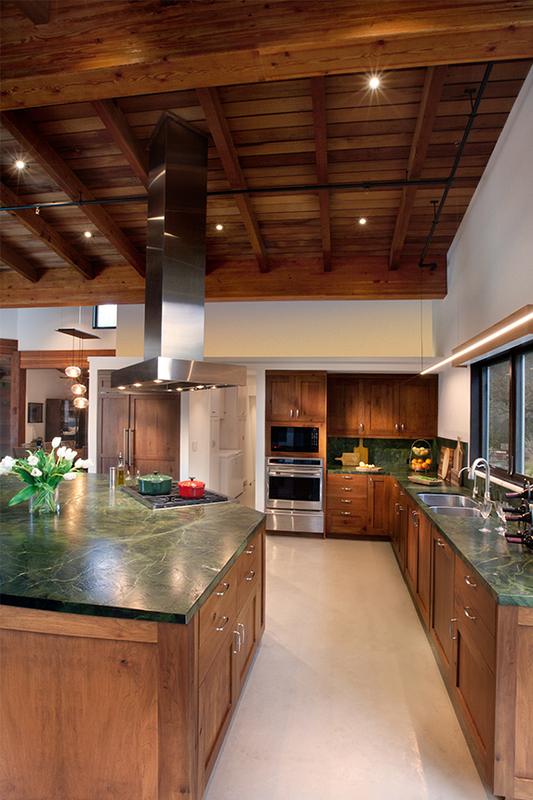 One constraint was the layout and structure of the home did not support a larger kitchen nor major changes to the design. 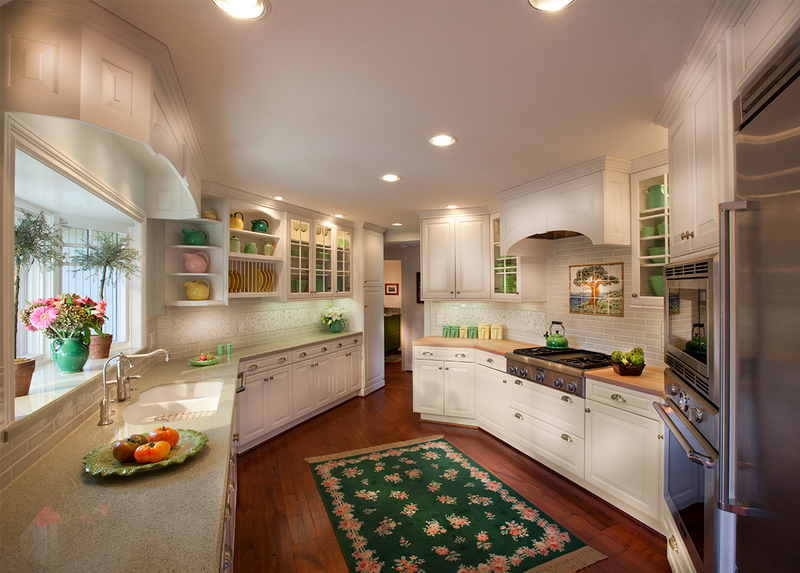 With slight adjustments to the layout and the better choices of materials, the kitchen is now a joy to use for the client. 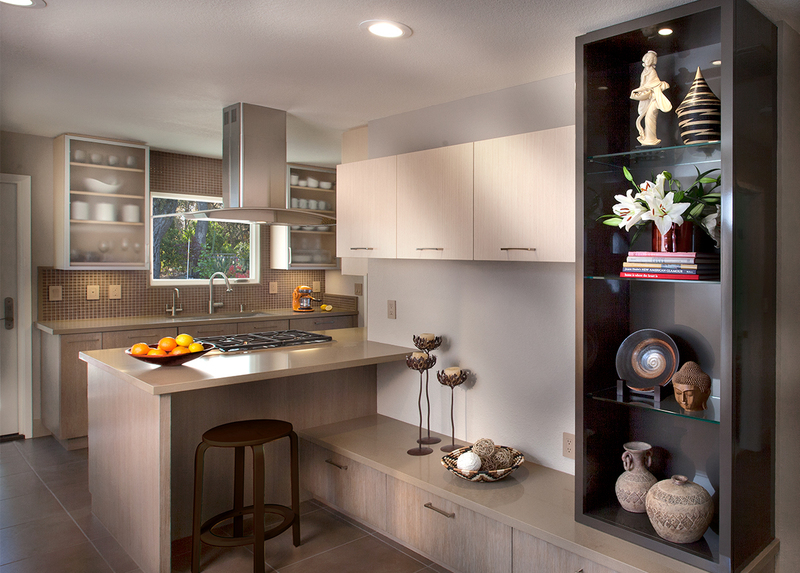 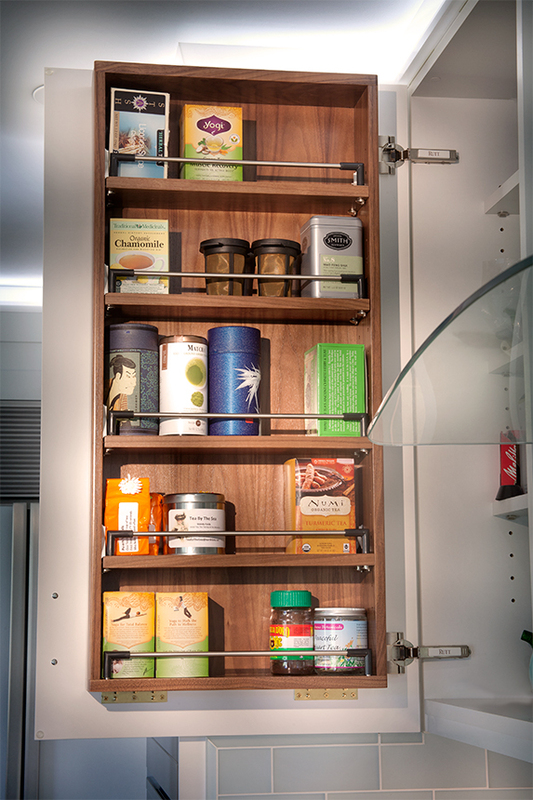 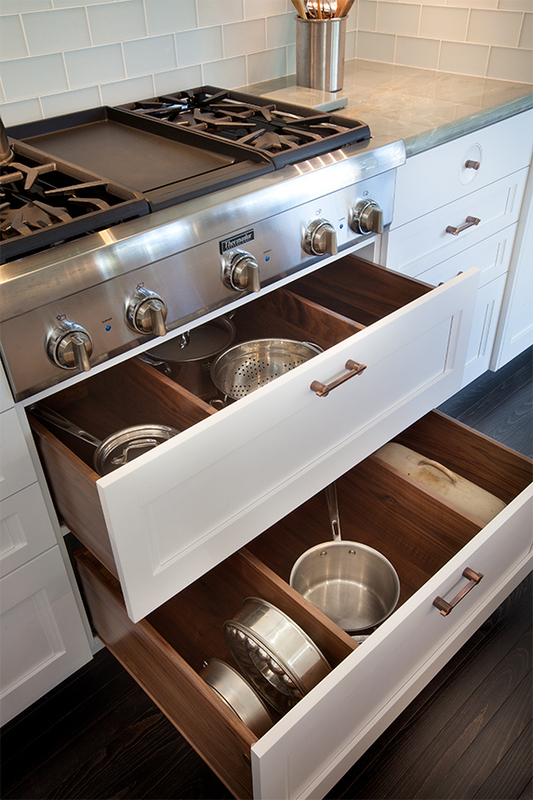 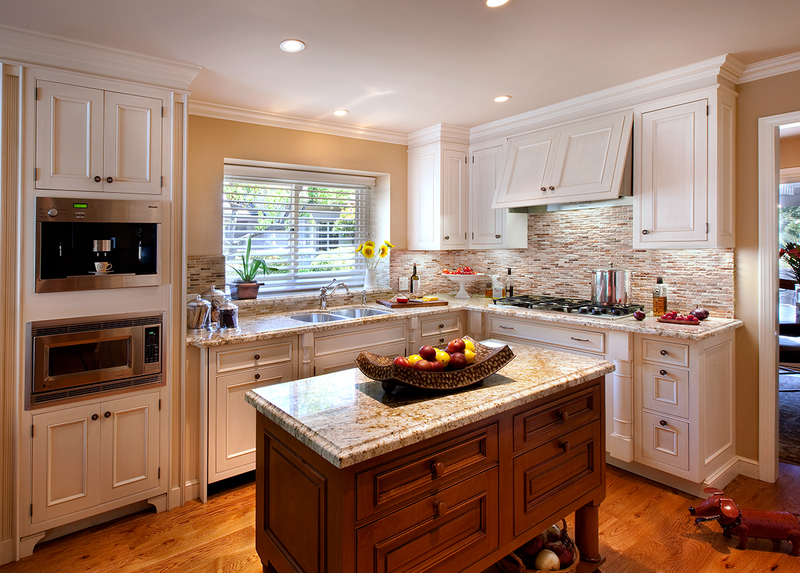 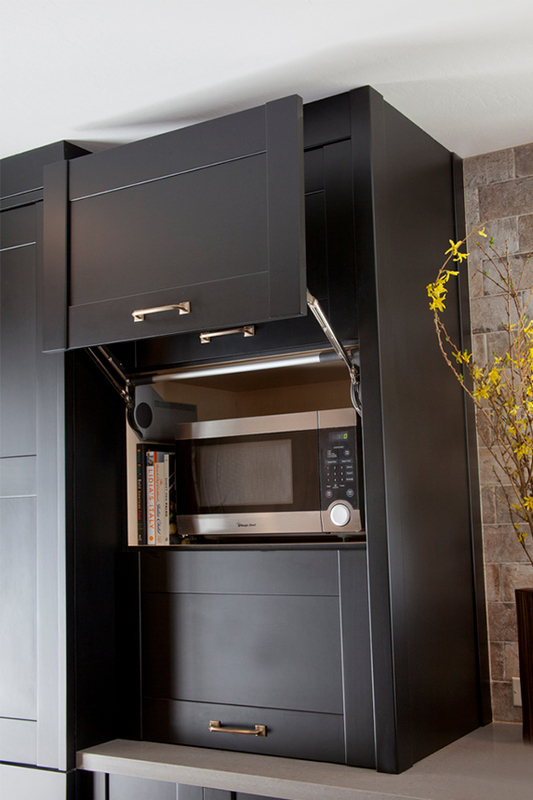 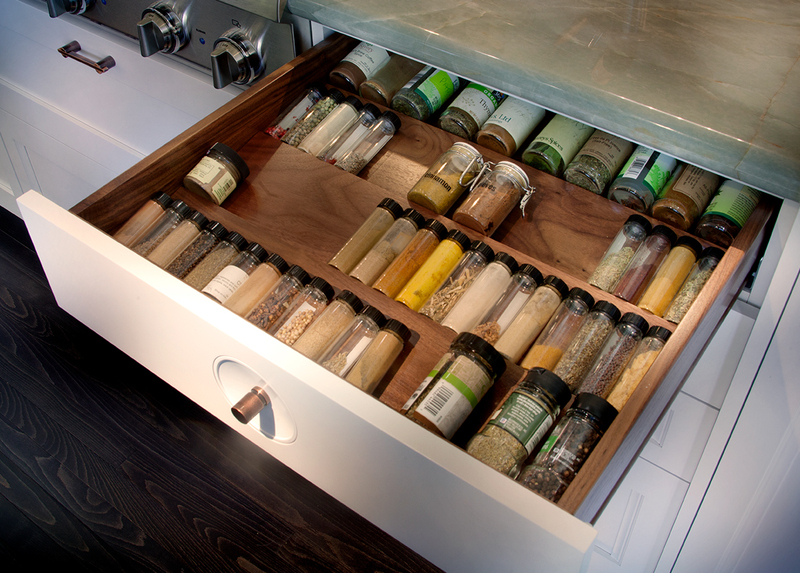 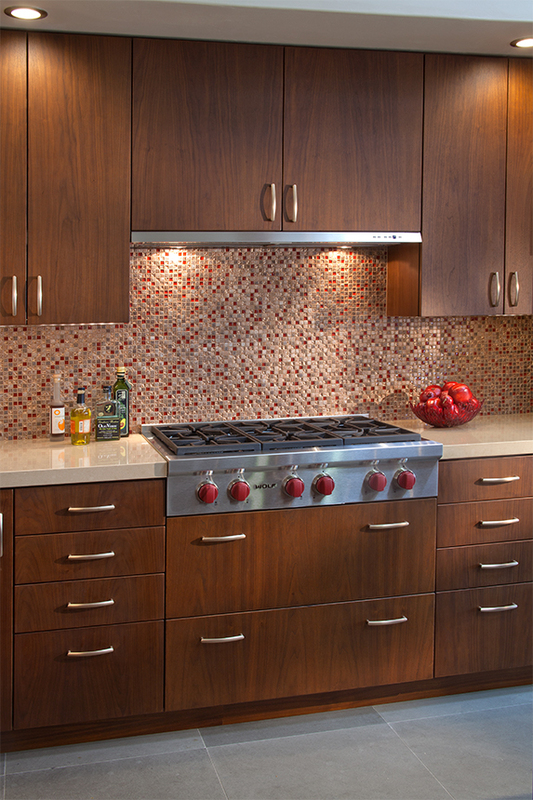 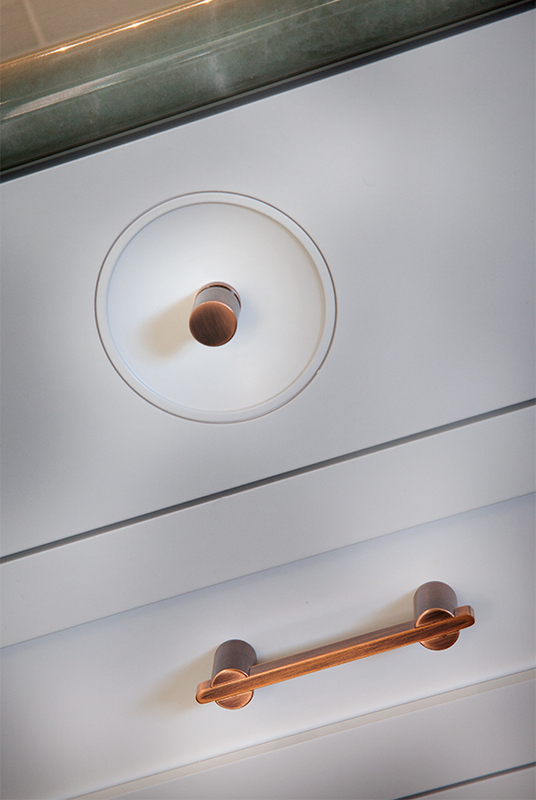 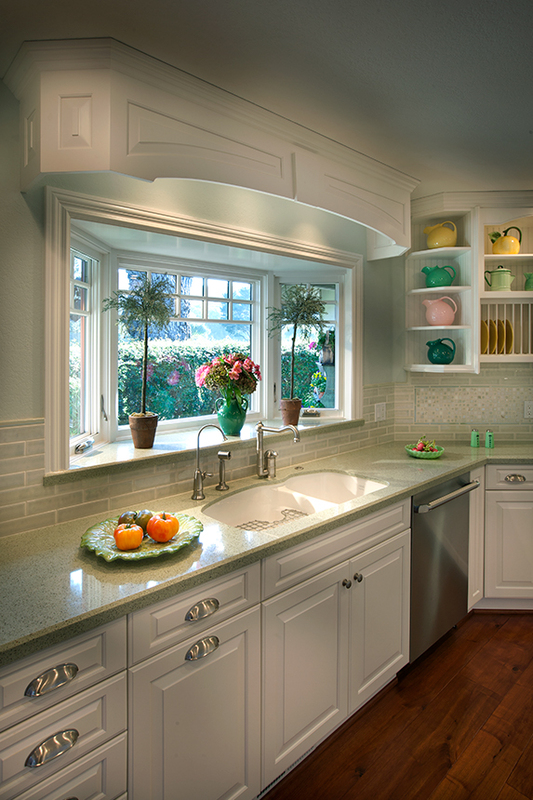 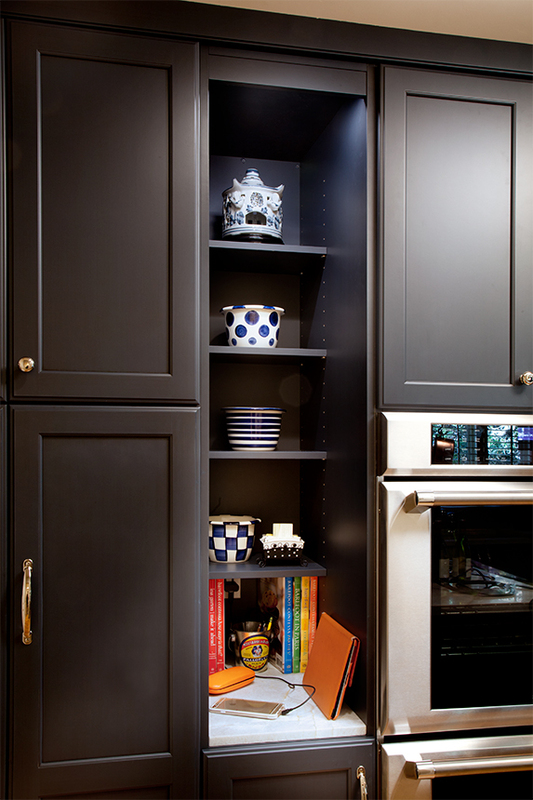 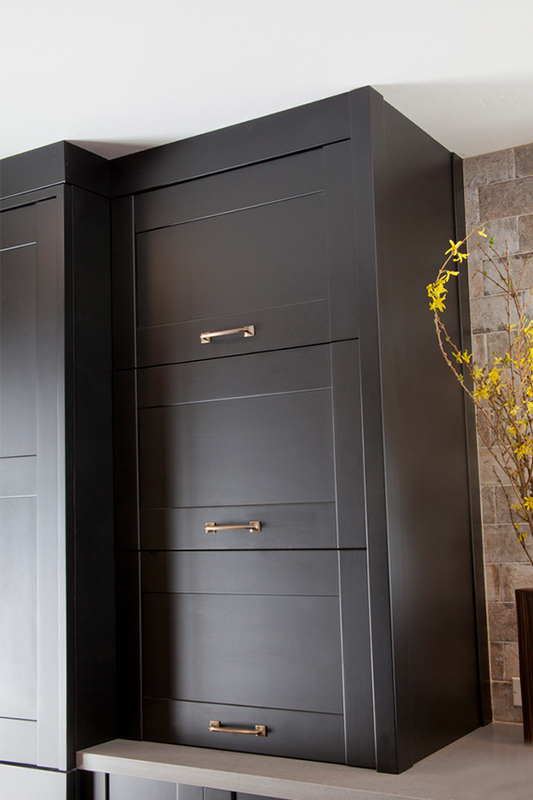 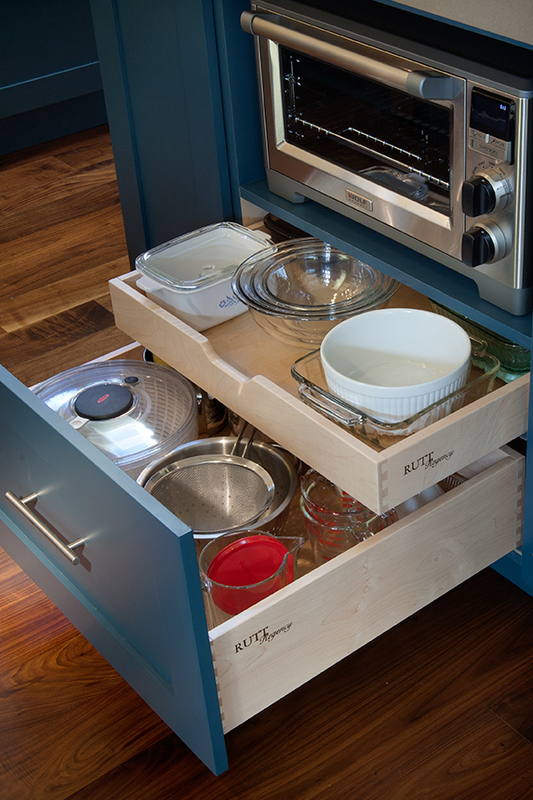 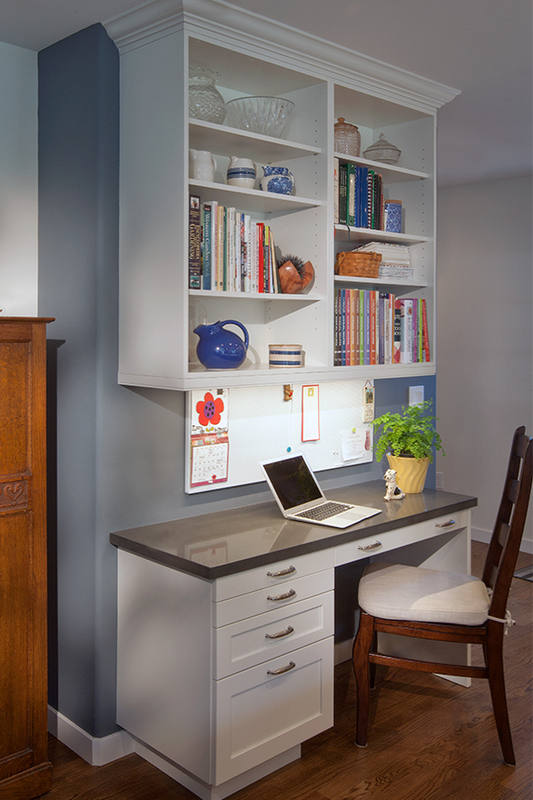 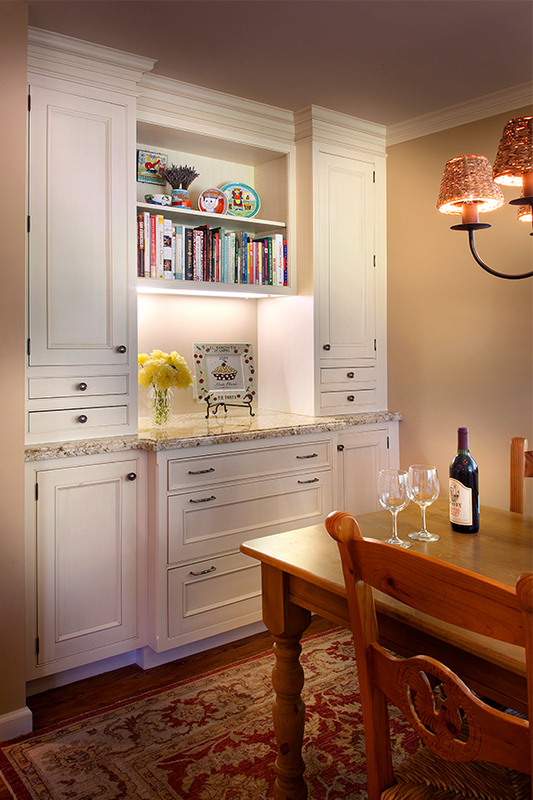 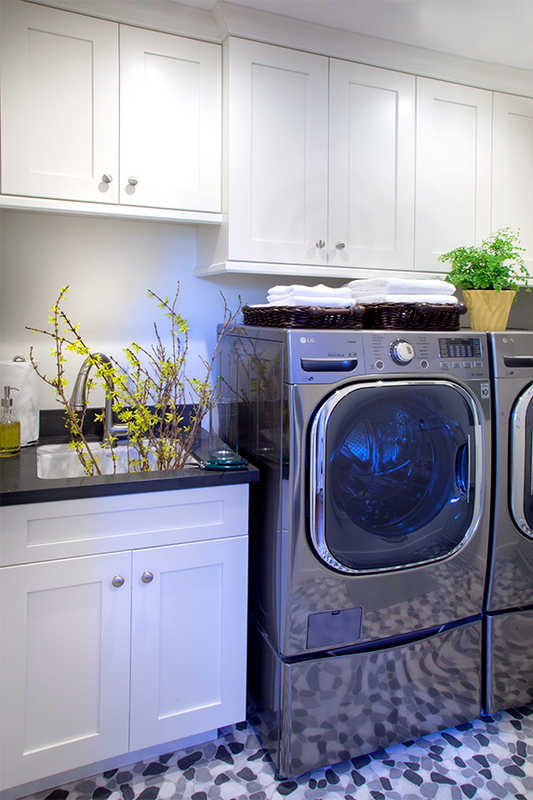 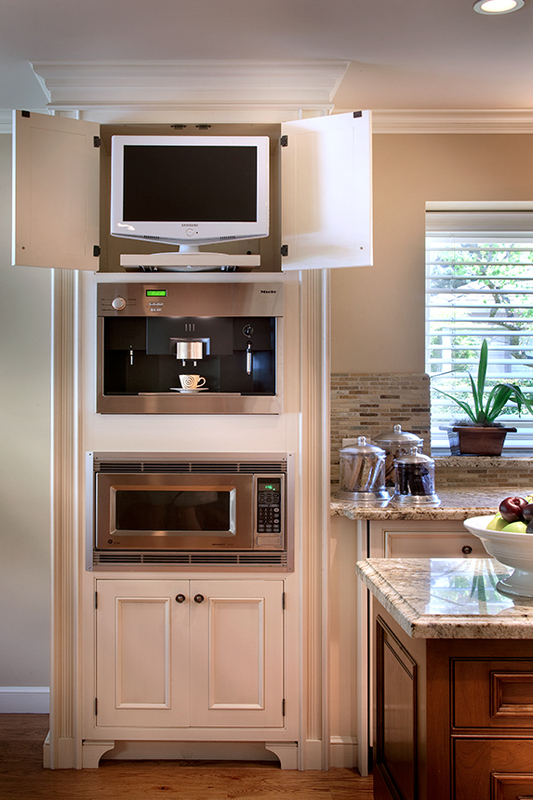 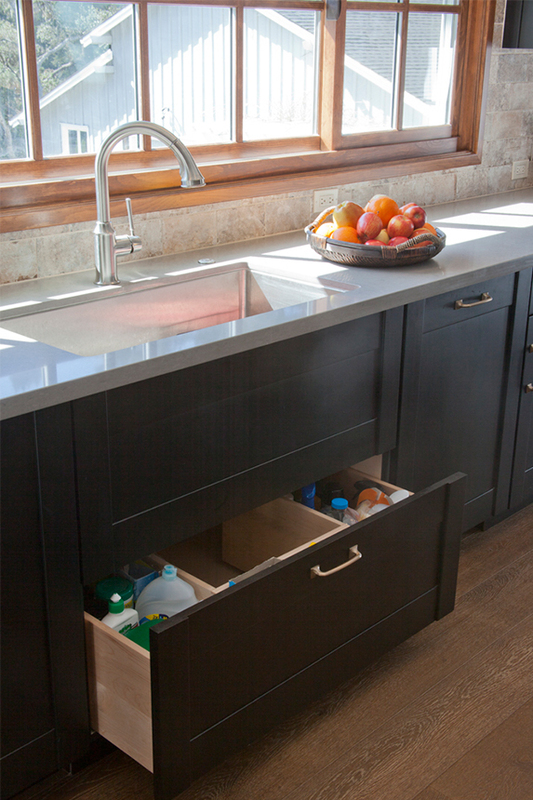 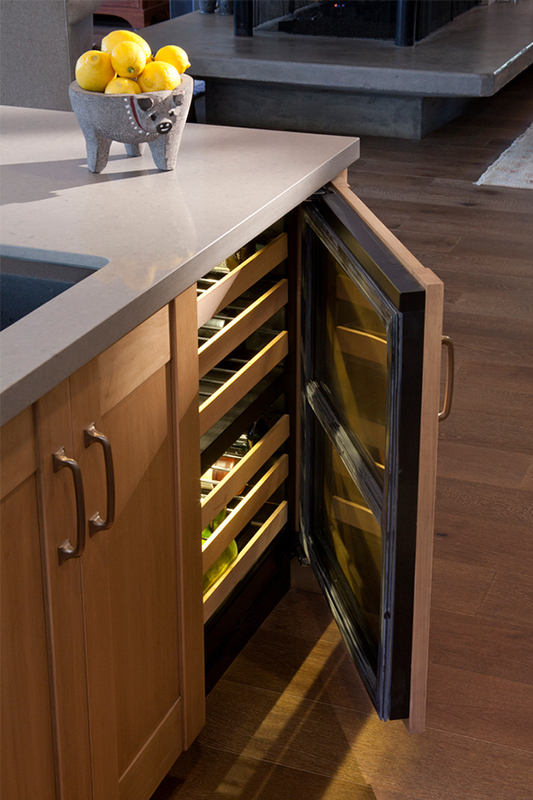 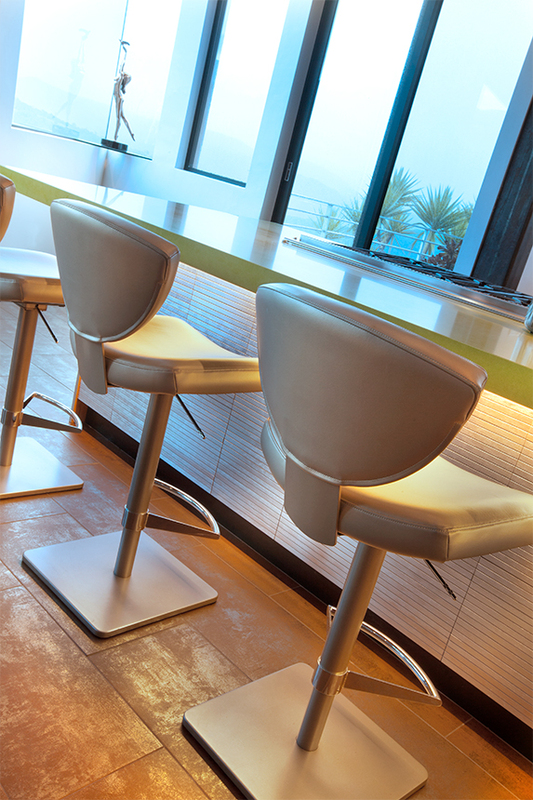 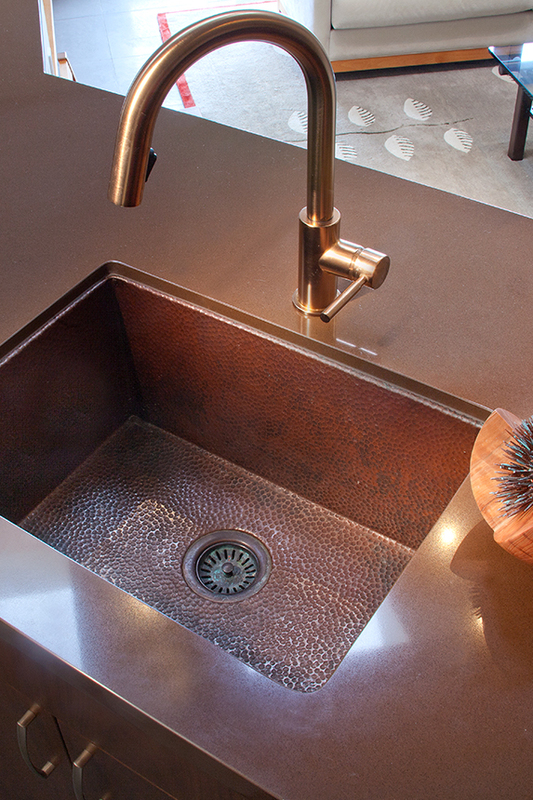 Many of the cabinets feature ergonimic or organizational devices for added convenience. 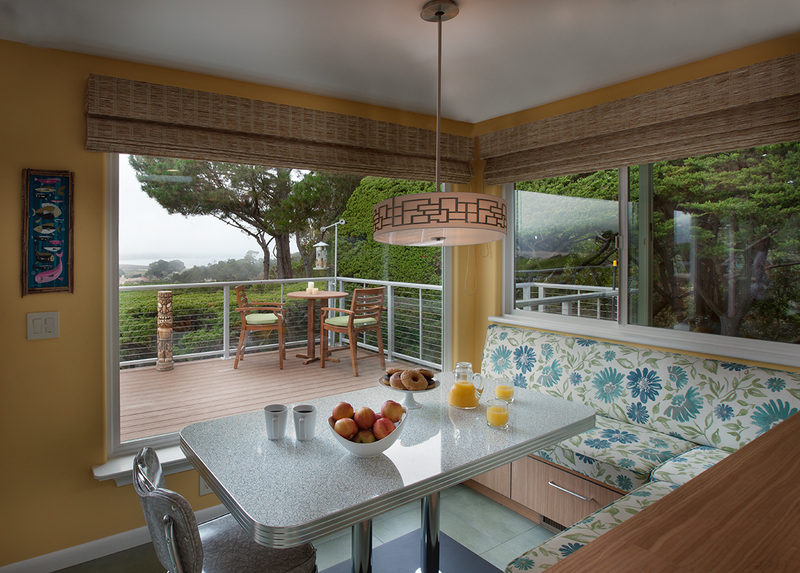 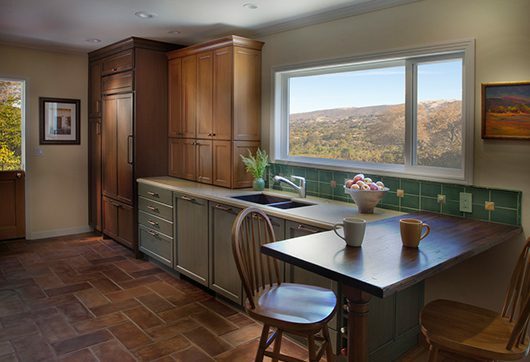 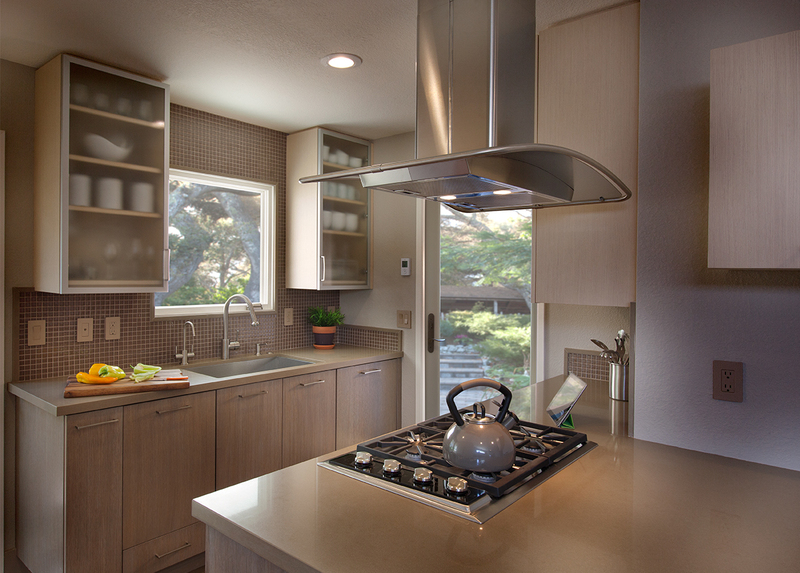 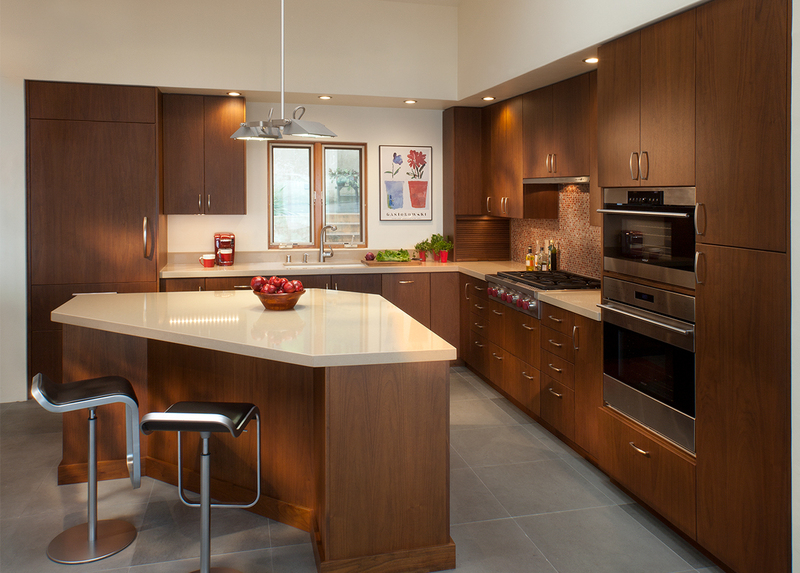 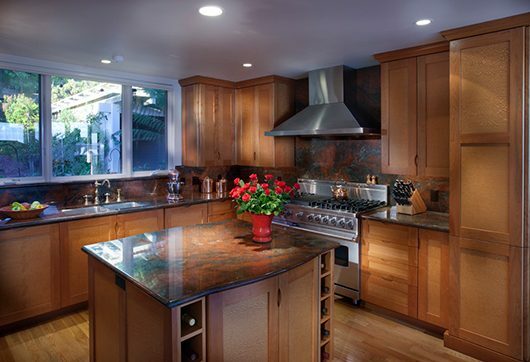 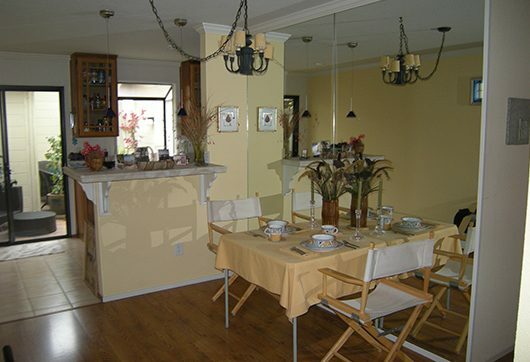 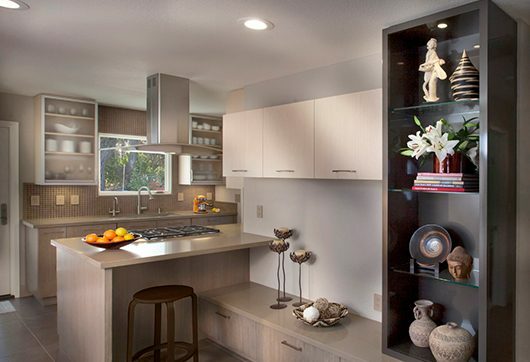 When you live at Rocky Point on the California Coast, you need a kitchen that accommodates a lot of guests! 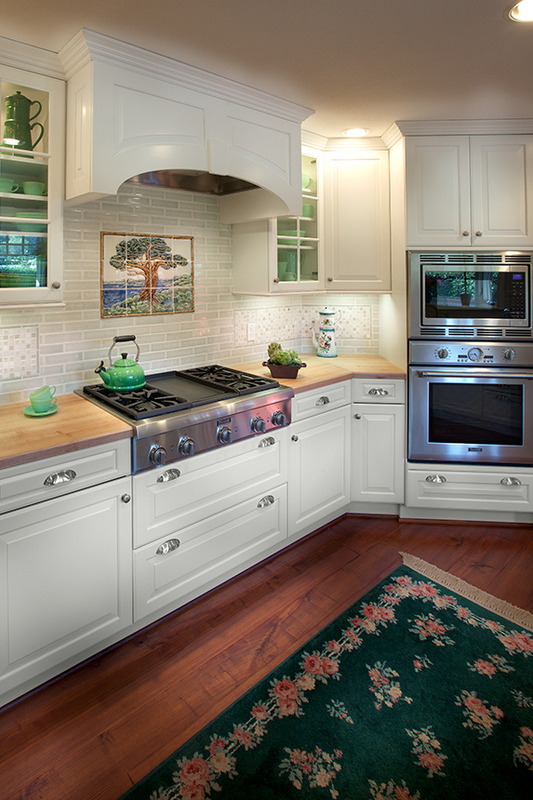 Now the gourmet cook/owner can whip up treats on the Viking while her friends nosh around the island. 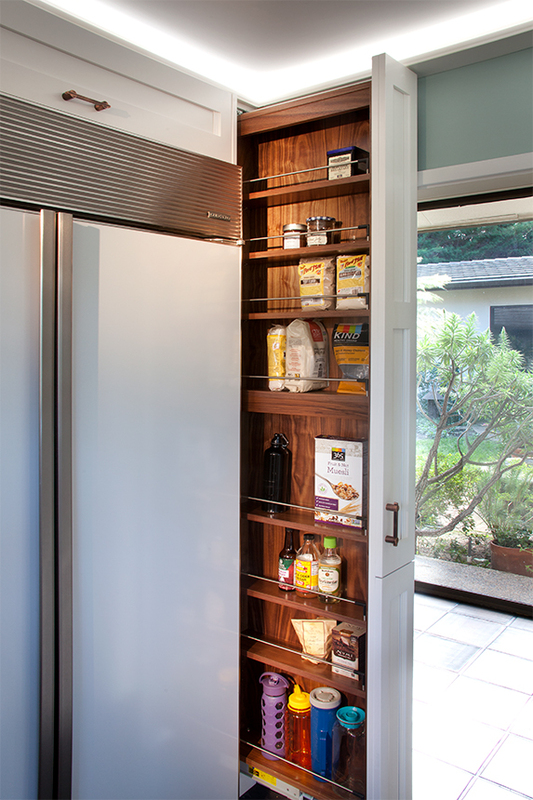 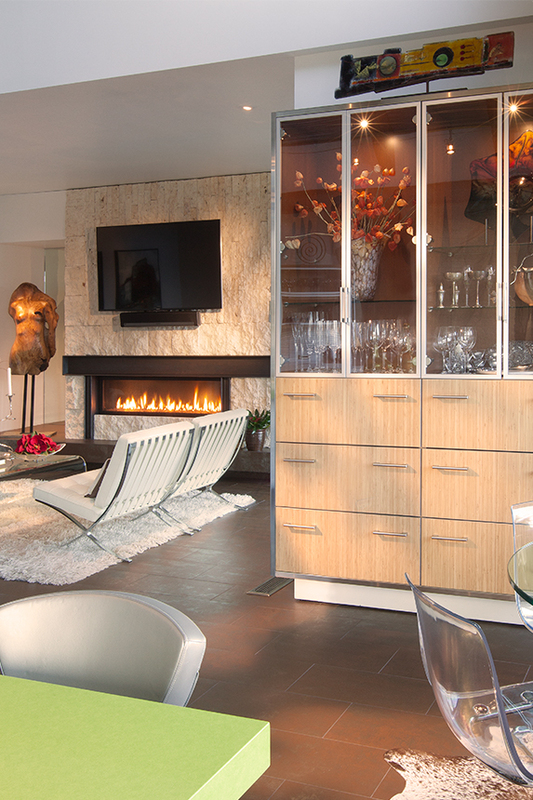 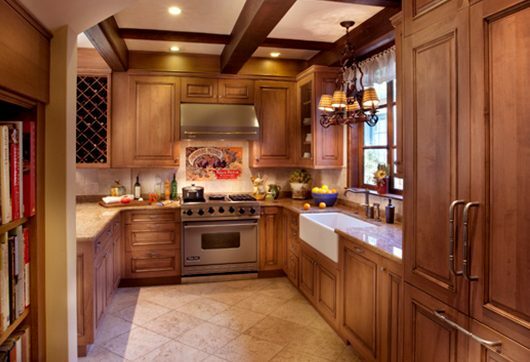 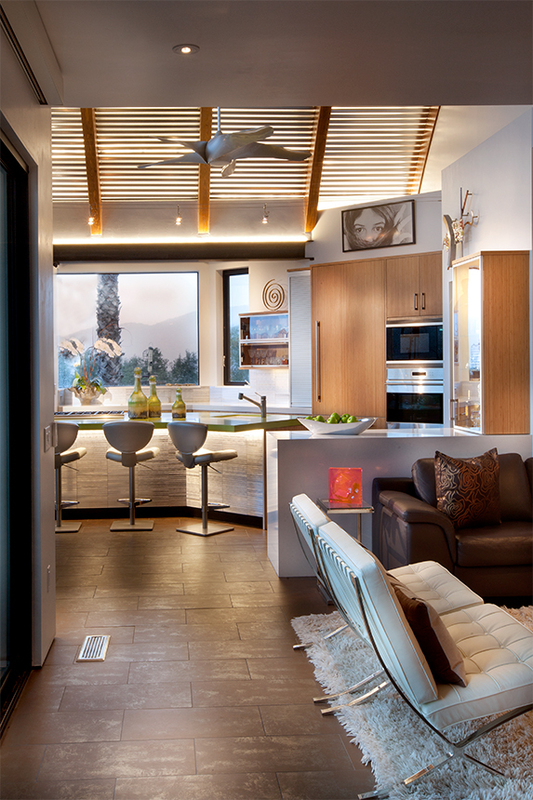 When you have enough space and still don’t have room to cook Thanksgiving dinner, it’s time for a remodel. 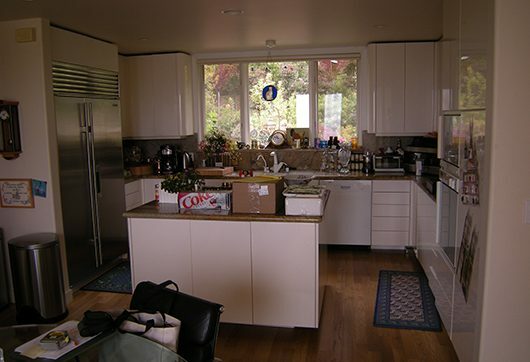 Now the whole team can help with a more effective plan and increased counter area.